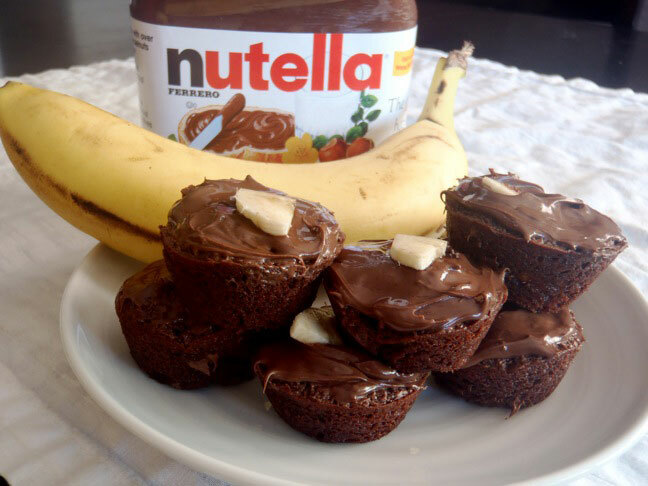 I’ve admitted before that it’s very difficult, if not impossible, for me to keep jars of Nutella in the house. I always seem to get out a spoon and dig in . . . until it’s gone! That said, I’ve really been wanting to create more recipes with Nutella, so I made an exception and bought the double pack at Costco! For me, a very dangerous proposition! Have you ever had a Nutella-Banana crepe? If so, you know that they are incredibly delicious, right? Well, this recipe uses the same magical combination of flavors, all inside a few bites of cake! I absolutely am in love with these tiny, cute cupcakes! Heat the oven to 350 degrees and grease a mini-muffin pan with the butter. Set aside. Bake in the preheated oven, just until the batter solidifies, about 11 minutes. Remove from the oven and let the cupcakes cool. 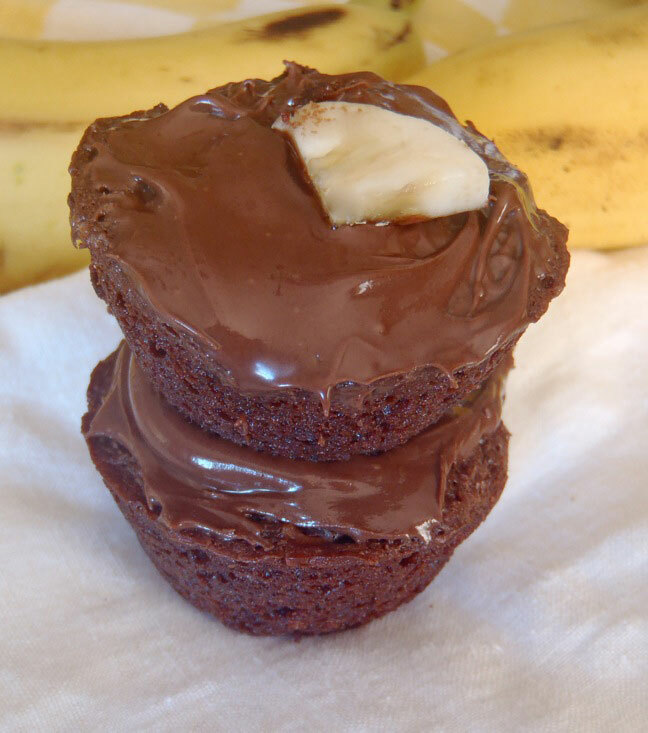 Once they are completely cooled, spread a thin, even layer of Nutella on top and add one of the quarter slices of banana to each! Cute! Yum!